Steve's results so far show reduction in weight prior to the holidays and no gains during the festivities. He was very pleased to see the blood glucoses (BG) improve from 70 - low 90s to 59 - 80s. Stools improved within 1-2 wks going from 3 times per week to daily. Tigernut man was the last hominid that studies show consumed a high RS2 diet -- and he and his pre-human lineage expired 1.2 million years ago. The hunter-gatherers who learned to cook and use routine fire dominated the plains, steeps, and gallery forests during the hundreds of thousands of years that followed. Our diet and gut flora have likely adapted and reflects vast changes in the fiber and diversity of resource allocation since then. 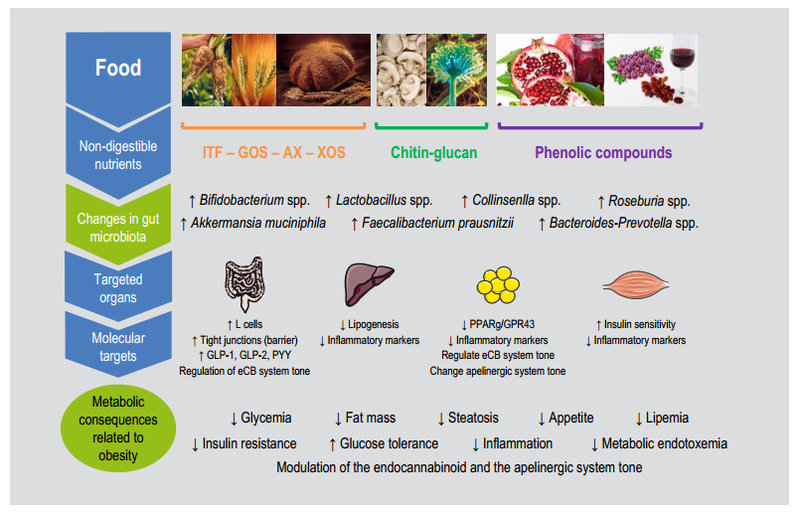 The flora that feed and crossfeed from raw starches (Bacteroides, Clostridium) are not the dominant immunoprotective nor body fat controlling ones (Bifidobacteria longum, Akkermansia, Christensenella, Roseburia, Faecalibacterium, etc) which consume a variety of fiber but not raw starches well or at all. The raw starch eating bacteria help make us human compared to chimps but they are not the powerful anti-inflammatory gut flora that help our bodies to efficiently utilize fats and complex carbohydrates and by cycling body fat back into ready energy brain energy (glucose or ketones). In that respective it explains why in human and pig studies (prior post), raw starches (RS Type 2) such as high-amylose maize and raw potato starch fail to appear to perform well metabolically and may even raise fasting insulin and insulin resistance. Body fat doesn't improve or even gets worse. Gut researchers cannot reconcile the differences between the good hamster/rodent studies and the lack of translation in human studies and human subjects. Rats lose body fat on their native diet -- raw starch -- but humans do not appear to (or even get fattier organs, higher BP and higher insulin, Bodinham et al 2012 and 2014), and perhaps this is related the fact that no current human society consumes large dosages of raw starches in their regular daily diet or at least not without being accompanied by an upwards of 150 grams of dietary fiber (Hadza). So is raw starch part of the natural food for our gut flora? What adverse shifts in the gut flora happen when unnatural 'fiber' becomes a large component of dietary fiber for humans and fuel for our 100 trillion gut inhabitants? The research seems pretty clear that our gut flora are maladapted, and, worse, the gut shifts affect metabolism and insulin sensitivity by lowering keystone anti-inflammatory gut species that are associated with leanness and insulin sensitivity. al., 2009; Zhou et al., 2008). These effects result in weightloss and improvements in glycaemic control. However, todate there is no evidence for this in humans (for review see Robertson, 2012)." Cooksey tried potato starch but it didn't lead to permanent changes in body composition -- sometimes he gained weight, sometimes he lost weight. Blood sugars and stools initially improved then plateaued, so after a few months he gave up and noticed no change afterwards in glycemic control. Like all the gut profiles I've reviewed, I would strongly suspect the lack of permanent improvements were related to adverse shifts in Cooksey's guts a result of high dosage potato starch induces on the gut. To fill in the gaps that are missing in the microbial fingerprints of most modern and damaged guts, Geurts et al advise several fibers and prebiotics to increase Akkermansia, Bifidobacteria longum, Roseburia and F. prausnitzii including chitin-beta glucan, arabinoxylan (psyllium, grains), oligosaccharides and inulin-FOS. Amped-up bionic fiber contains a variety of these to promote diversity in the gut -- low doses of several fibers that all increase acetate, propionate, butyrate and long term raise GLP-1, an anti-inflammatory gut hormone that promotes fat burning and leanness. Geurts et al discusses GLP-1 in detail. These fibers that raise GLP-1 are found in a variety of foods including the below. Steve Cooksey loves to forage for dandelion roots and greens, wonderful sources of inulin-FOS which are nuclear powerhouses that enrich Akkermansia and B. longum and which are both shown in human trials to lower blood sugars, improve fat loss and potently fix glycemic control. 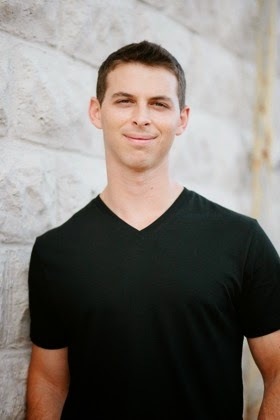 Tony Federico, host of the Paleo Magazine Radio show, joins Dr. Grace and Matt to talk about his uBiome results. A possible beneficial strain Christensenella was abundant in Tony’s gut, which Dr. Grace goes into further detail. Tony talks beyond just Paleo, bringing insight to his day to day life, and how he maintains his healthy living. Tony asks Dr. Grace’s opinion on the potential effects of resistant starch and avoiding too many starches on a paleo diet. 'Science writer Ed Yong says the Christensenellaceae bacteria might be a “keystone” species, “one that wields a disproportionate influence upon the world around it.”' Source: Genetic Literacy Project "Why do we gain weight or remain slim? 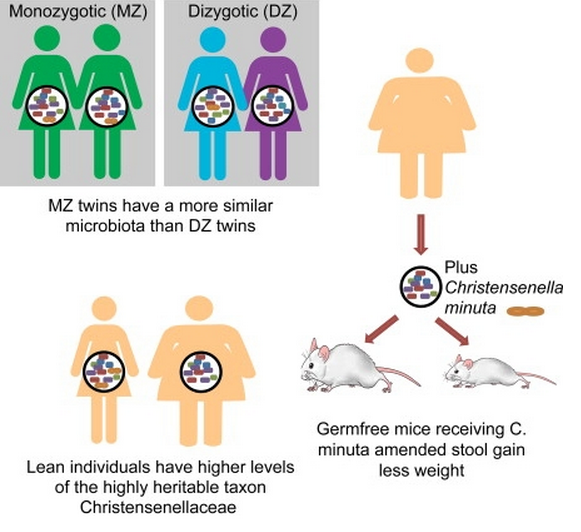 Genes, microbes and now genes for microbes"